Starlite Festival is an annual festival with more than 45 days of concerts in Marbella, where gastronomy and culture are also included, all in the same space. This great event is characterized by having brought international artists of the standing of Enrique Iglesias, Lenny Kravitz, Alejandro Sanz, Tom Jones, Ricky Martin, Pet Shop Boys, Luis Fonsi, Eros Ramazzotti, Placido Domingo, Andrea Bocelly or Anastasia among others. Want to find out what they have prepared for this new edition in 2019? Continue reading. If you are planning to enjoy this year’s Starlite Festival in Marbella you may be interested in meeting some of the artists. The location for the concerts is the Marbella Auditorium in the Nagüeles Cantera. A natural auditorium where you can enjoy all the shows and outdoor activities surrounded by nature. The concerts and shows are scheduled to take place at 10 pm. The price corresponds to the cheapest ticket in Tribune C and the most expensive in Platinum Box. There are 12 different types of tickets which we will examine below. The Beach Boys on July 11 – Prices between 38€ and 228€. 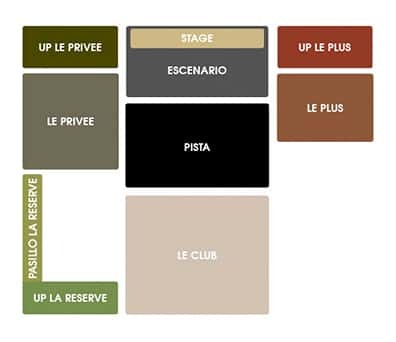 Il Divo on July 12- Prices between 87€ and 571€. Maluma on July 13 – Prices between 79€ and 466€. Raphael on July 27 – Prices between 63€ and 391€. Melendi on July 30 – Prices between 32€ and 200€. 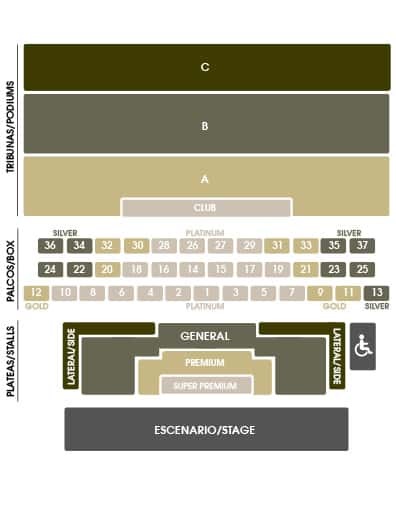 David Bisbal on August 6 – Prices between 71€ and 514€. Ketama on August 8 – Prices between 32€ and 194€. Morat on August 12 Prices between 38€ and 239€. Manzanero y Mocedades on August 14 – Prices between 25€ and 149€. José Mercé y Tomatito on August 15 – Prices between 26€ and 163€. Los Morancos on August 17 – Prices between 32€ and 198€. God Save the Queen on August 22 – Prices between 48€ and 246€. Malú on August 24 – Prices between 54€ and 434€. Manuel Carrasco on August 20, pending confirmation. If you have a concert ticket, you can access all the activities and areas within the festival until closing time. Minors under the age of 18 may not stay in the venue beyond midnight and must always be accompanied by an adult. They will need to fill in the following form: document access minors. *The price depends on the concert you assist. *The price can vary according to the day and ranges from 28€ for an auditorium ticket to 500€ for a Le Club ticket, table for 7 people. General parking: Free parking with shuttle service for those attending the festival. VIP Parking: For attendees with Gold and Silver Palco tickets, with private chauffeur service up to the red carpet. Valet parking: If you have a platinum box entrance, you will be able to reach the red carpet in your own car. The staff will be in charge of parking it. In addition to the live concerts from the artists above there will be DJ sessions every night from Monday to Sunday. If you love the gastronomy or the cultural events, I will tell you what they are about. Every day performances of first level national DJs. The Sessions Space event has a parallel program to the concerts of the auditorium. The Starlite restaurant treats live cooking with quality products representative of each season of the year. The client can interact as a buffet among the wide selection of fish, meat, rice and pasta. There will also be spaces dedicated to signature tapas, pizzas, hamburgers and themed kitchens for the family. Spaces to relax with ambient music. Reservations can be made by phone; to check availability I recommend taking a look at their calendar as they do not offer daily services. The area comprising Starlite has a commercial area with direct sales to the public of various brands. The schedule is from 8:00 p.m. to 1:30 a.m. from July 13 to August 26. The price per person is 70€ and 30€ for children under 12. The doors are open every day at 8:00 pm. The restaurant and gastronomy area opens at 8:00 p.m.
Concerts in the auditorium start at 10:30 p.m.
Concerts at Espacio Sessions begin at 10:30 pm or 2:30 am. Where to buy Starlite Festival tickets? Tickets will be available from 23 January 2019 at 12.00 noon. How to get to Starlite Festival? You can get there by road on the AP-7 until you reach the exit for Nagüeles. Take the second exit at the first roundabout and the first exit at the next roundabout, the Marbella Auditorium is located to the north from here. Next Next post: Marbella 4 Days Walking in October 2019 – Hiking and fun for all ages!